Réseaux IP Européens (RIPE) began in 1989 when a group of IP network operators based in Europe began a series of regular meetings to share experiences and carry out technical coordination work. They started to exchange information and established a database for storing operational data. Details of the objectives at RIPE's inception can be found in the RIPE Document “RIPE Terms of Reference” (ripe-001). As more network operators participated in RIPE, the amount of coordination work expanded rapidly. 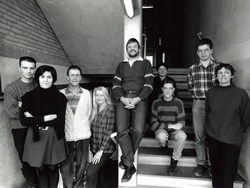 In 1990, the operators, or the RIPE community as they became known collectively, decided to fund a ‘coordination center' that employed full-time staff to carry out the work for them. Details of this development are published in the RIPE Document “RIPE Network Coordination Centre” (ripe-19). The RIPE NCC was formally established in April 1992. Réseaux Associés pour la Recherche Européenne (RARE), which later became Trans-European Research and Education Networking Association (TERENA), provided the initial legal framework for the RIPE NCC. The RIPE community developed the first “RIPE NCC Activity Plan” (ripe-35) in 1991 and continues to provide input into this document every year. Some of the RIPE NCC's first activities continue to be carried out today, including maintaining the RIPE Database, creating and maintaining a document store, and organising RIPE Meetings. The distribution of IP address space was not one of the RIPE NCC's initial activities. Address distribution was added in 1992 when the need arose. In January 1998, the RIPE NCC became a legal entity in its own right. The RIPE community continues to provide input to the RIPE NCC's activities through RIPE Meetings and the various RIPE Working Groups.